Showing results for tags 'moonlight racing'. For those that did not know, we are the Australian distributor for Megan Racing. We've just landed a shipment which is mainly suspension arms. There is a bunch of stuff for Nissans and we can do deals for SAU members of course. Go to www.moonlightracing.com.au and have a browse around, any queries or anything in particular you're after just let me know. We're stoked to announce we've been appointed a reseller for MCA Suspension! These need no introduction of course and are renown worldwide for having some of the best suspension money can buy! Website will be getting these loaded up asap, in the meantime just get in touch for info/pricing. 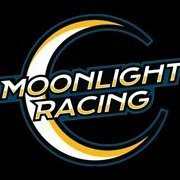 e: info@moonlightracing.com.au w: www.moonlightracing.com.au After MCA Suspension products? Moonlight's got em! So you are always hearing people saying how they got some parts from Yahoo, or it's cheaper on Yahoo.. but you haven't got any idea how to use it right? That's where we come in! We have put together a comprehensive guide to help you get around and find what you need. We also have a cheat sheet which is super handy (well we think so anyway). There's also information about using UP Garage as well which we can also buy from. Our guide can be found right here - http://www.moonlightracingaustralia.com/yahoo Once you've found something you are interested you can just contact us on here, email info@moonlightracing.com.au or send us a message over at our Facebook page - https://www.facebook.com/moonlightracingaus/ Couldn't be easier! Try it now, you will be impressed with what's available! Moonlight Racing is happy to announce we are now a dealer for Ultra Racing suspension components. Ultra Racing was founded in Malaysia back in 2002 with the aim of improving chassis handling and safety through an ever expanding range of strut bars, anti-roll bars, lower bars, fender bars and more. From the very first day Ultra Racing have strived to offer the very best in chassis tuning and safety with a focus on extensive research and development both in house and on track. The Ultra Racing range of chassis products are used in many different motorsport classes throughout the world including Drifting, Time Attack and Circuit Racing. Contact us today to see what we can do for you! Just message us on here to order or for any enquiries. Remember, we have FREE shipping nationwide! aus Cooling deals on NOW! If you've been thinking about doing some cooling upgrades NOW is the time to get on it! Don't wait until summer when it's too late, sort your cooling system now at www.moonlightracing.com.au. We have 10% off everything in the cooling section! (excluding COBB) Radiators, intercoolers, thermostats and all the rest. If it's not listed, just ask and we'll add it. No gimmicks, no codes, just add to cart for discount to apply automatically, easy! Go to www.moonlightracing.com.au now to get yours! Hey team whoever manages this.. we're interested in coming on board with business in Australia to support SAU and offer discounts/deals/promos and general club support. I sent a PM to Christian late last year but haven't heard anything so far.. was suggested I try put a post up here. We have been running Moonlight Racing in New Zealand for 10 years and are making the move across the ditch to branch out and offer Australians a larger range of products as well as container shipments from Japan in the nearish future. We have an ABN and all that setup. Anyone, if someone can get in touch with me via PM or email info@moonlightracing.com.au about how to proceed that'd be excellent. aus NEW TRADER - MOONLIGHT RACING! DEALS TIME! We're putting together a big stock order for Megan Racing Australia and sending by slow boat which means this is a great opportunity for you to save on shipping costs! Pre-order is open until 3rd April then after this will have the order submitted. This includes anything from the Megan Racing range so check their website www.meganracing.com for the line-up. Slide into the DMs if you are after something, or send us an email info@moonlightracing.com.au. We are the Australian dealer for Megan Racing so anything you need from Megan just be in touch! We're happy to announce that we can now offer Yellow Speed Racing coilovers! We have been selling these for years and are constantly right up there in the value for money stakes! We understand not everyone has the money or need to spend thousands on custom coilovers so that's why we cater to all budgets (we can get the super fancy ones too if that's what you want) Not only that but they have thousands of vehicles applications available. We are getting around to listing them online but you can also just send us a message if you're interested. Prices are just $1249 for most models with free shipping nationwide so get in touch today! e: info@moonlightracing.com.au w: www.moonlightracing.com.au Whatever you need, Moonlight's got it!